Good night, and hello to everyone. I am new here, and I am going to start a new project and I would like to know your ideas and advice. 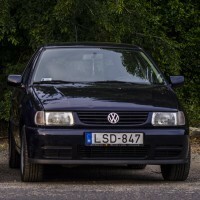 I have a vw polo 1993 1.4D (86c I think). I will start a project to put a 1.9 TDI PD 150cv engine in it (ARL code engine) in it. And I expect to get + 350hp on that engine after some upgrades. I know it's going to be a lot of work and I have to do a lot for it to work. But it's going to be a project that I'm not in a hurry to finish ... But I'm some doubts as to which braking to use ??? what brake servo to use ??? What suspension? which Driveshaft use in relation to the hub kunckle ??? Can someone give me some tips? Thanks in advance. Engine swap 1.0 into 1.4 car? Engine Swap Question a Saloon engine to a hatch? Hi all, I have a very important question. I currently own a 99 1.0 polo hatch 50BHP. and I can get my hands on a polo saloon 1.4 16V 75BHP. Will the engine be a straight swap or is there much to do? will the engine mounts and all fit my little hatch? only considering this as I need some more BHP. Also what mods can I do to the engine to get some more power out of it? 9N3 GTI parts on a 9N? Hi all, I'm considering doing an engine swap to my Mk3f 1.0 and was wondering if a 1.3 engine out of a 6n would be pretty much a straight swap? E.g are the mounts the same ?